We have often lamented that people from Dubai and other Arabian Gulf countries walk around with wild cats the way Hollywood stars carry Chihuahuas. But now one of the world’s leading Cheetah experts says these people can actually help to save the species from extinction. Dr. Laurie Marker from the Executive Director of the Cheetah Conservation Fund (CCF) recently gave a series of talks for the Emirates Natural History Group in Al Ain, the second largest city in Abu Dhabi, according to The National. She has worked with cheetahs for the last 40 years and is the current custodian for the international cheetah stud book, which lays out the most sensible breeding schedule for cheetahs held in private collections throughout the world. Dr. Marker urged Emiratis to either register their cheetahs or start their own breeding program – anything to keep the species alive. 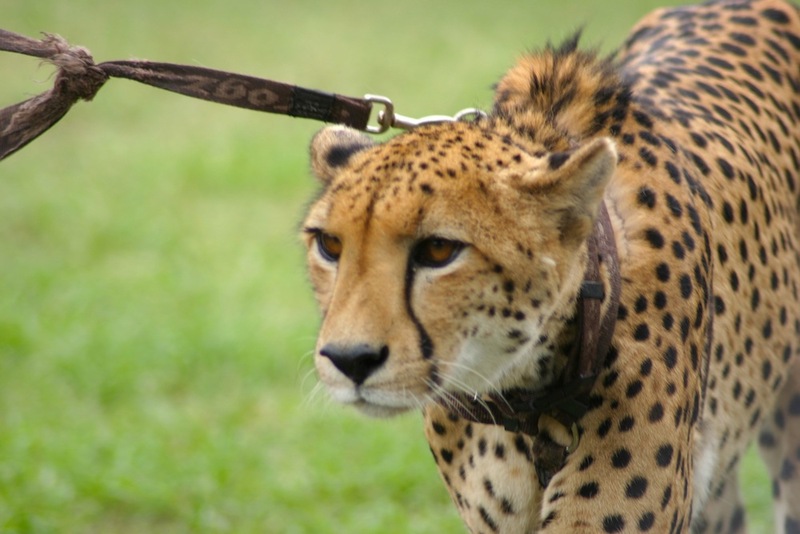 However, despite relatively lax legislation, Emiratis who have illegally purchased cheetahs are subject to fines as local authorities attempt to curtail illegal wildlife trade. And neighboring Ajman, home of the Green Sheikh, has banned private ownership completely. Dr. Marker urges private owners to come out of the shadows in order to help save the animals they love from certain extinction by sharing information with the CCF and among themselves. “It seems like here it’s behind closed doors,” Dr Marker said, The National reports. “I’ve been told that many people don’t want anything to do with sharing, and yet it is so much better to share. Wildlife conservation is tricky. Sometimes it’s necessary to turn a blind eye to behavior that is detrimental to an individual animal as a pragmatic approach to saving the species as a whole. Hunting is like this. And certain zoos. But we never thought we’d come across a conservationist willing to condone cheetah captivity. That being said, Dr. Marker does point out that the ultimate goal of any conservation program is to get wild animals back in the wild – where they belong. Bravo to the UAE for inviting this conversation. It’s an important step that promotes greater transparency and education, both of which will eventually result in a populace that understands the intrinsic value of all animals. Previous Previous post: Can Tesla Take Over Israel’s Better Place Charging Stations? This fool thinks these people actually care for these cats. These cats are nothing but the new fur coat or leather handbag and when the trend wears off the cats will be dumped in some two bit zoo if they are lucky.